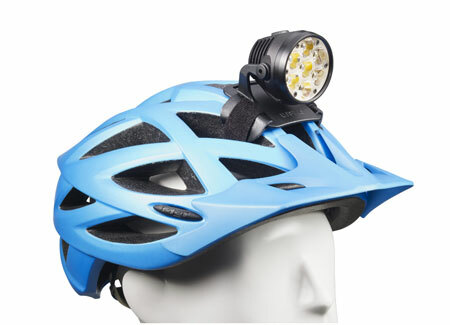 The brightest helmet lamp in the world has just become even brighter. 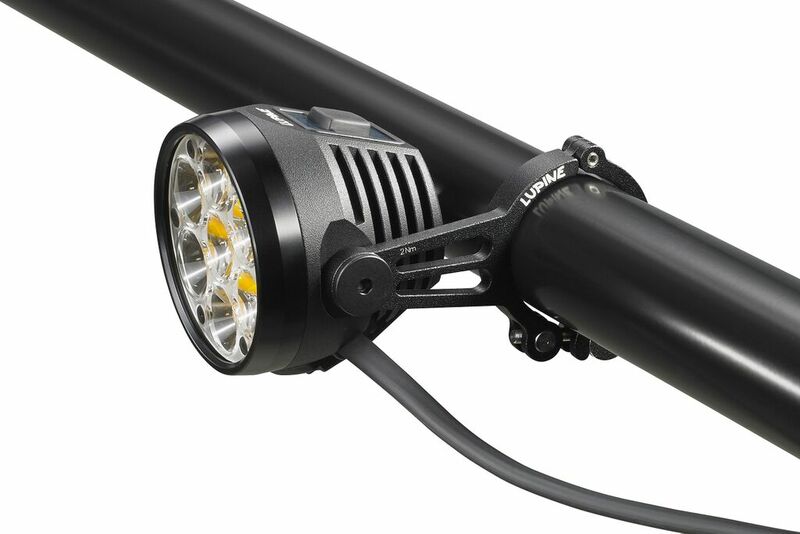 Our top model emits an almost unbelievable 5000 lumens, outperforming everything you might have seen by far. In addition to the Betty R's extensive setting options, the revolutionary Bluetooth wireless remote control offers unprecedented ease of use. With this floodlight you are the King of the Night. 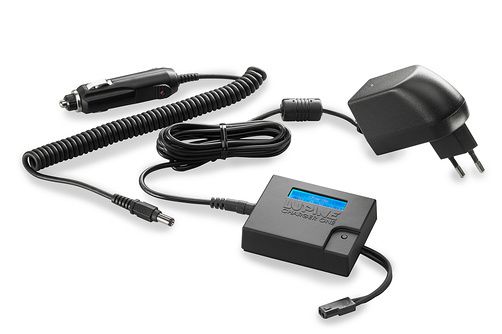 SYSTEM INCLUDES: Betty R 5000 Lumen aluminum LED Lamphead, Helmet mount, *Quick-release Handlebar mount, Bluetooth Remote, Peppi V5 bar-mount for remote, 13.8 Ah SmartCore Battery, Charger One with AC power supply and 12VDC power adapter, 120cm/4ft extension cable, and large carry-case. 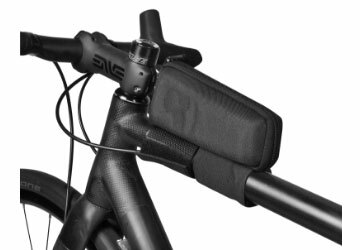 *Please specify Quick-release Handlebar Mount size preference when ordering in the drop-down below (25.4 mm / 31.8 mm / 35 mm options). Betty's incredible 5000-lumen output and powerful 350-meter illumination range paired with a perfectly balanced luminous image allows you to indulge any activity at night, no matter how extreme or technical it is. 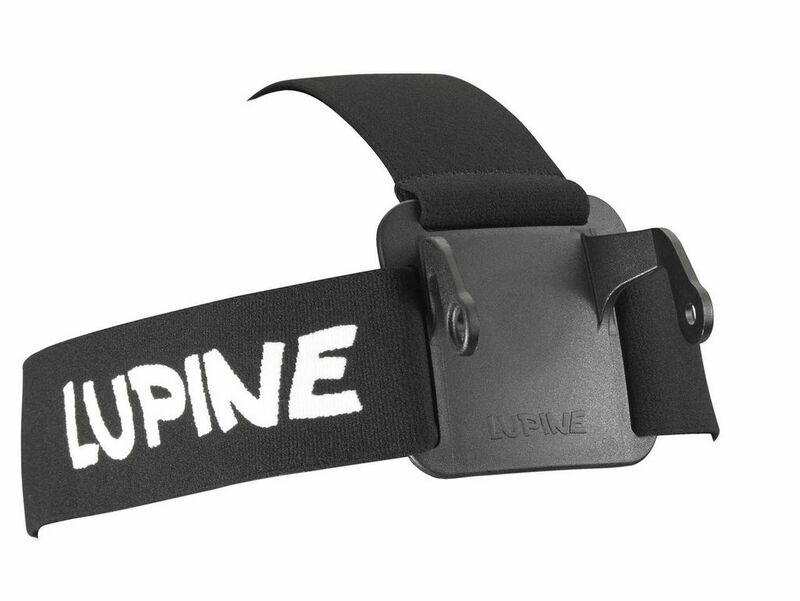 And, Lupine's compatible range of accessories makes Betty the ideal companion for any nighttime adventure, including mountain-biking, hiking, climbing, skiing, camping, mushing and even photography. Betty's 6000k LED output mimics the color temperature of the sun, literally turning night into day. This pure white color makes Betty a top lighting choice for pro photographers and videographers. The wide range of accessories, like tri-pod mounts and filters makes this the ideal addition to any photography bag. Precision-milled in Germany from a single piece of lightweight, high-quality aluminum, Betty is designed to withstand extreme weather conditions and the wear-and-tear of rough terrain. German innovation packs the most powerful LED technology inside Betty's waterproof, durable and compact housing- a technological marvel. 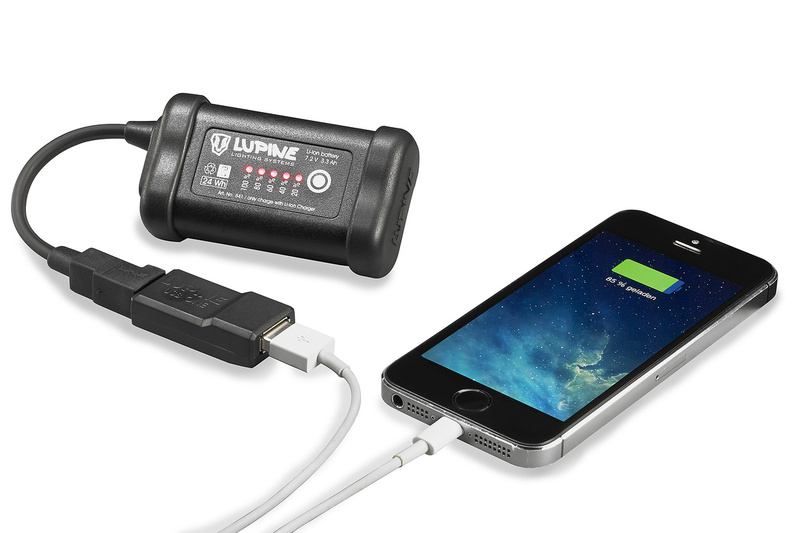 Lupine's 13.2 Ah SmartCore Battery features powerful electronics: simply push the control panel and the remaining battery capacity will be indicated in increments of 10%. 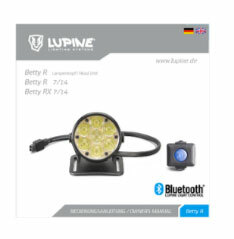 Lupine’s range of compatible accessories and mount kits, allows you to easily transform your Betty lamp head into a lamp for any activity. Securely mount Betty to your bike helmet using the Betty Helmet Mount and state-of-the-art 3M velcro straps (included in your kit). 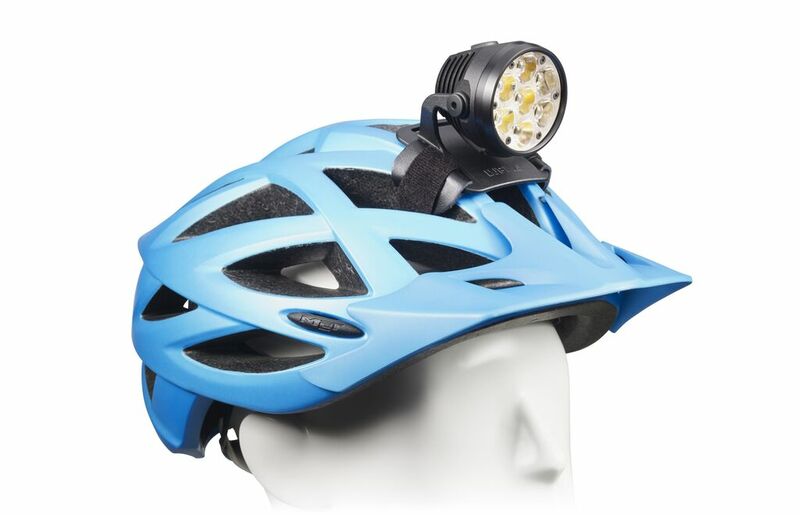 Add a high-quality headband to transform Betty into the perfect headlamp for hiking, camping, running or climbing. 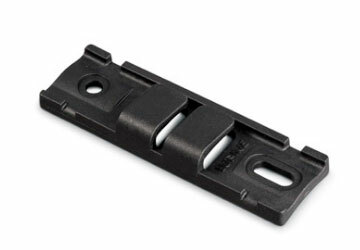 Use your Quick-release Handlebar Mount to easily mount Betty to mountain bike or road bike handlebars. I bought a Lupine Betty R 5000 in 2010 and used it until 2016 when it malfunctioned. So, I sent it to Lupine North America for repair. They fixed it and shipped it back to me in Brazil at no cost, not even shipping. A great product with a great after sale assistance. This project is of the highest quality, durability and design. Light output is stunning, people will think you are a really high end car or police search helicopter. Battery performance is great, charger is easy to use and the accessories are spot on. Mounting system to bars is high end CNC that is nicer than my bike. This is a pricey item, no question about it, but after many months of research, I decided on Miss Betty to guide me on my night rides, and I am very impressed! 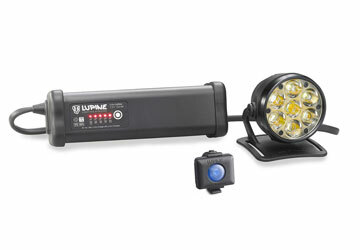 From the mounting system to the performance, to the system flexibility, Lupine's lighting systems are absolutely top notch. This is well engineered equipment that is designed to work flawlessly, last a very long time, and be upgradeable as technology evolves. I recommend this investment to anyone who is serious about their lighting system, and who believes in buying quality once, instead of cheese every season! 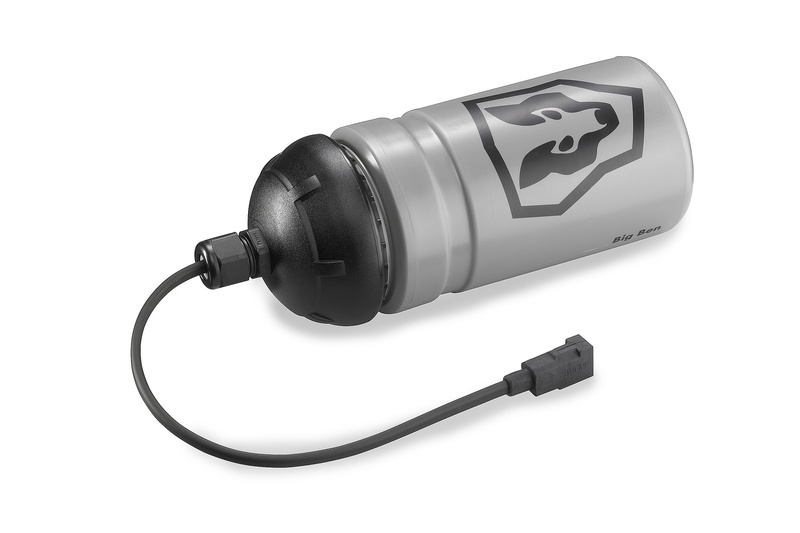 I've tried virtually every other system on the market until I discovered Lupine back in the late ninety's. 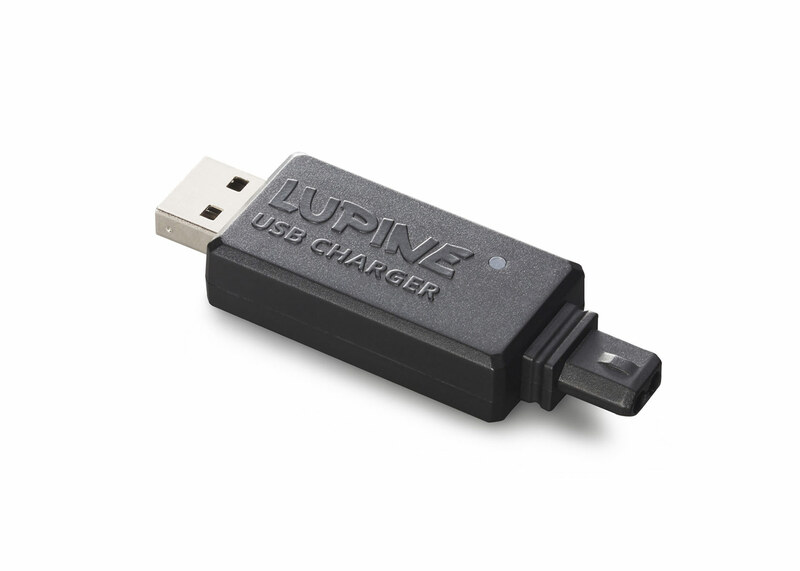 The Lupine Betty has by far outperformed all other systems on the market. Its makes night riding seam like I'm riding in the daylight. I've been using it for countless 24 hour solo races and training rides. I've also been using it paired with the Charger One since 2008 to make us more visible on the downtown streets. King of the night!  I have used Lupine gear exclusively since the early days. The engineering and build quality is un matched. The light output of this lamp is incredible. 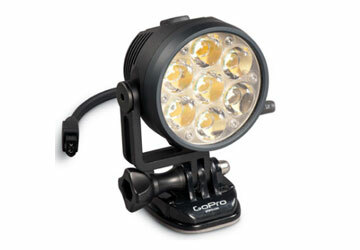 5000 lumens is a TON of light. I run this with the Big Ben bottle battery- and I have plenty of run time for the whole night. This thing obliterates anything else on the market. It's not even close. I also use it for daytime riding and I set it to strobe. It really gets the attention of moron drivers. I think this is essential equipment any time you are on the bike. But for me, I am a deranged individual! I run THREE of these on my XC bike, AND one on my helmet! 20,000 lumens. Light output is sick! I recently had a police helicopter fly down to me to see what was making all that light!! !